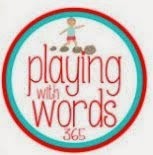 Building Successful Lives- Speech & Language Services: Why Teach Multiple Meaning Words? Why Teach Multiple Meaning Words? A student with a language disorder walks into a regular education classroom where he or she is bombarded with multi-step teacher directions in a fast paced classroom. The student struggles to get out all the materials for the first academic subject much less comprehend what the teacher is saying. "Students, get out your math book and journal. Turn to page 25 and write your name on the right hand side of the next blank page in your practice journal. Our class is going to spend the next hour learning about measurements and we are going to measure and record the size of our hands, feet, and height. We will use a ruler, yard stick, and tape measure to record the inches and feet." Student A says "awesome, I'm going to have a ball because I'm the tallest kid!!" Student B says"huh?" "I thought we were going to make and record a song!!" Teacher....blank stare!! Now imagine that some of the students in the class are also bilingual and are learning English. However, they don't have a solid foundation in their primary language and they are language disordered. They would be confused by the teacher's lengthy instructions and most likely not understand several of the vocabulary words. These students struggle processing and understanding a variety of language concepts including multiple meaning vocabulary. Students who have language disorders often need direct vocabulary instruction with multiple meanings. 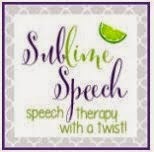 The speech language pathologist is key to providing this instruction. Most elementary school students are familiar with the terms: homonyms, homophones, and homographs. However, they easily confuse the meanings and need plenty of receptive and expressive language practice with examples of these words. Then I provide multiple opportunities to practice increasing their vocabulary skills with a variety of activities and learning games. I have my students practice verbally describing 2 meanings of the target terms and I provide verbal and visual prompts as needed. I also like using cloze sentence (fill in the blank) tasks or semantic absurdities activities in which students have to correctly identify/name the correct homonym. My students love this activity and it addresses multiple meaning words , synonyms, antonyms, categories, and more. My students are always eager to participate in the homophones activities. There are also fun activities to target word roots, prefixes, suffixes, synonyms, rhyming words, and adjectives. This book has great worksheets for guided practice and homework review. I tend to use worksheets after the skill has been practiced orally in therapy a few times. What additional resources or methods do you find successful with teaching multiple meaning words? Johnson, C., Ionson, M., and Torreiter, S. (1997) state that direct vocabulary instruction in the area of multiple meaning words is essential for successful comprehension of spoken and written language. In their study, the research results indicated that children with language learning difficulties are able to provide adequate verbal definitions when target meanings were presented in sentence context compared to tasks that did not provide a context. How should I use this knowledge in my classroom? SLPs and teachers should directly teach vocabulary and provide opportunities for students to practice their word knowledge using context clues in sentences. Johnson, C., Ionson, M., and Torreiter, S (1997). Assessing children's knowledge of multiple meaning words. American Journal of Speech Language Pathology. (6) 77-86.